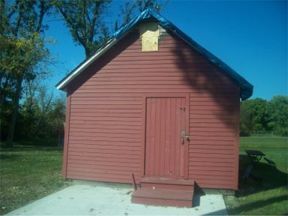 The Society had the milk house and tool shed repaired, as well. 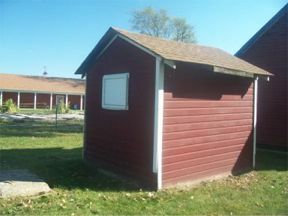 It also added another building to the property–an outhouse. No working turn-of-the-century farmhouse would be complete without one. Sears and Roebuck catalog, anyone? The Society just didn’t have the resources to restore the Civil War-era Linden log cabin it got from the National Lakeshore. The wonderful people at the Kankakee Valley Historical Society were able to transport it to their location where it will be beautifully restored as part of their historical complex.